Schaeffler is electrifying sport utility vehicles (SUVs), crossovers and pick-ups (light duty vehicles), which are extremely popular in the U.S. automobile market, with innovative hybrid solutions. The combination of internal combustion engines and electric motors increases efficiency and allows vehicle manufacturers to achieve future fuel economy targets. Hybrid drives also provide greater torque at low speeds - an important criterion for US customers when choosing a vehicle. By combining hydrodynamic torque converters and electric motors, Schaeffler is offering a key technology which should help hybrid drives to continue their growth in the North American market. 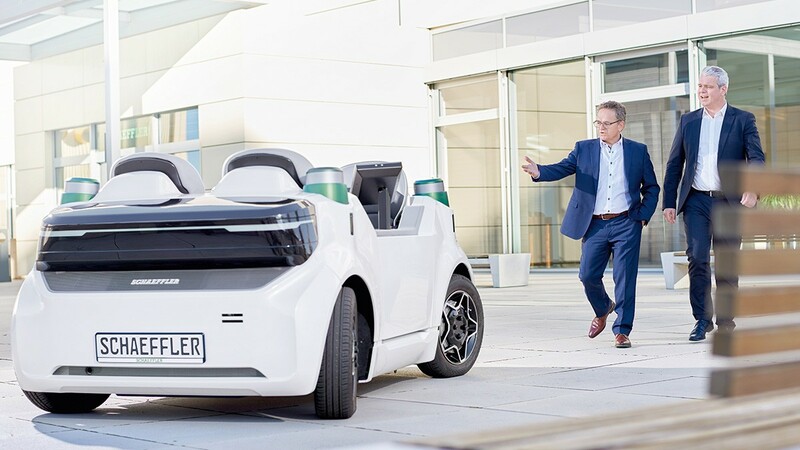 In addition to this, Schaeffler is working on electric axles that could one day compliment or replace conventional powertrains, serve as a hybrid solution and provide an all-wheel drive alternative.